Flags, fields, people, pavés, dust and bikes! Shall we have a breakaway of sprinters? C’mon! Here’s another take of Stage Four yesterday, go and check out the drawings – Maxine Dodd’s fantastic artwork will definitely be a regular on Stokoe’s Blog over the coming weeks! 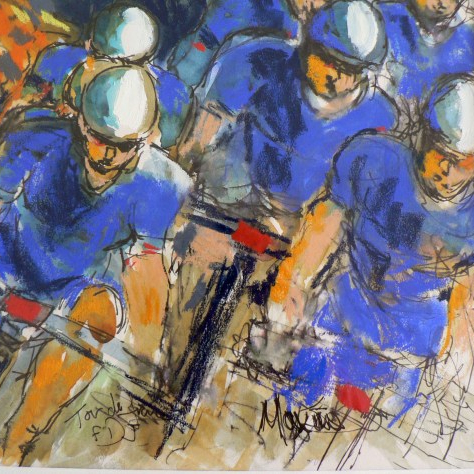 Fantastic depictions of the race, I especially like the one which one rider is speaking to the other two riders next to him. Beautiful art.